The World In and Around Us: Japan -- A travel guide for the common people. 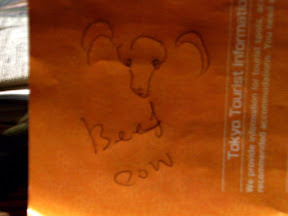 Japan -- A travel guide for the common people. I was in Japan for the first time ever over New Year. Now I don't speak Japanese. I've also heard stories about how expensive Japan is. So if you're in a similar situation here are somethings that might be useful to you. A lot of restaurants have plastic food displays outside. Another strategy that I discovered is to take a picture before going inside, and then point at the dish on my camera's LCD screen when ordering food. Basically I can make my own picture menu. Even if the above two strategies don't work, there's still one way. 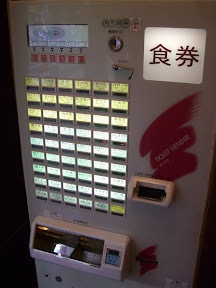 In Japan there's vending machine in almost every block of every street. You can find a lot of them in Tokyo, and also sometimes in the middle of nowhere. The vending machines sell everything. I saw vending machines that sell hot coffee, beer, cigarettes, and even ramen. As for saving money, get a JR Pass. You get unlimited rides on the JR with this pass. I believe you can order one before you land in Japan. 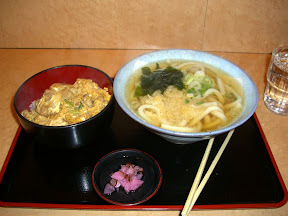 Found your blog on Japan while searching for ideas on what to do in Japan when I head there this December.. It was really helpful! Thanks! I've just finished looking through all the pics in yours and your friend's albums. Along with the comments, they make for some excellent work! I also have some new ideas on how to explore Japan, so thank you. 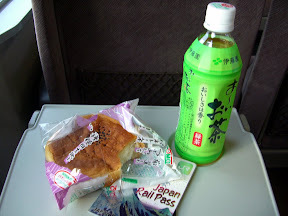 Like e_lynn I found your blog whilst researching about Japan. I'm heading over at the end of the year 28/12/08-9/01/09. Was the new year period a good time to be in Tokyo? Or does the city shut down?